Want to make a difference, but life is just too crazy? We all hear that being a volunteer is good for the community and the soul. Maybe you’ve thought of volunteering your time, but life just got in the way. You heard about that great cause that sang to your soul, but then work, family, the laundry and the mounting DVR backlog struck, and you didn’t think about that cause for another two years. Fortunately, there is a middle ground here. You can be involved in the community without sacrificing all of your evenings, weekends and lunch breaks. By thinking outside of the box, it’s easy to squeeze volunteering into your life in ways that may not even feel like you’re taking time out of your busy life. Below are several ways to make volunteering work in any time constraint. Volunteering can take as little or as much time as you want, and special events put that on display. One-day events run the gamut. The most popular are run-walks, where you can spend a day getting exercise outside while benefitting a cause. These are usually yearly events, so you’re not devoting nearly every single weekend to them, either. Run-walks usually require some type of fundraising to go along with the run, but many events don’t have a minimum fundraising limit. And with tools like Facebook, fundraising doesn’t have to take a ton of time. Outside of run-walks, there are plenty of other events to look into that happen infrequently. Think about checking into events like humane society adopt-a-thons, trick-or-treating for a charity, events like the Martin Luther King Jr. Day of Service, a dance marathon or work at a food kitchen on a holiday. Admittedly, ‘voluntourism’ trips are on the more time-intensive side. You’re giving up a whole week or more to work for free, after all. But in certain situations, they make plenty of sense. Let’s say life has been so hectic you’ve amassed vacation time you’ve been unable to use up until this point. You could take one of those weeks and jam a year’s worth of volunteering time into a single week. Volunteering abroad is a great way to do some good while seeing a different part of the world. And rather than going to an all-inclusive resort that looks basically like any hotel you’d see in the Western Hemisphere, you’re getting elbow deep in another culture and its people. The newest trend in volunteering is virtual volunteering. That’s where you use your computer in some fashion to lend your skills to an organization or group. Think of it like telecommuting for a cause. And it can be as intense or easy as you want. One hilariously lazy way to volunteer is to essentially rent your computer space out to research programs that need a ton of power to crunch numbers. One such program is BOINC (Berkeley Open Infrastructure for Network Computing), a program you download that allows Berkeley access to your spare computing power. If you don’t like the idea of giving a university idle reign over your spare computing power, you can volunteer to complete digital tasks for organizations. Sites like Volunteermatch.org and idealist.org can link you to places that need virtual volunteers and offer resources to get started. Needs range from web design to social media help. And since it’s digital, you can fit it in during small chunks of time around your other responsibilities. Really crunched for time? Take the 20 minutes it would require to assemble a care package. This is a volunteer opportunity that is easy to forget amid the myriad of basic donation options like drop-off sites. 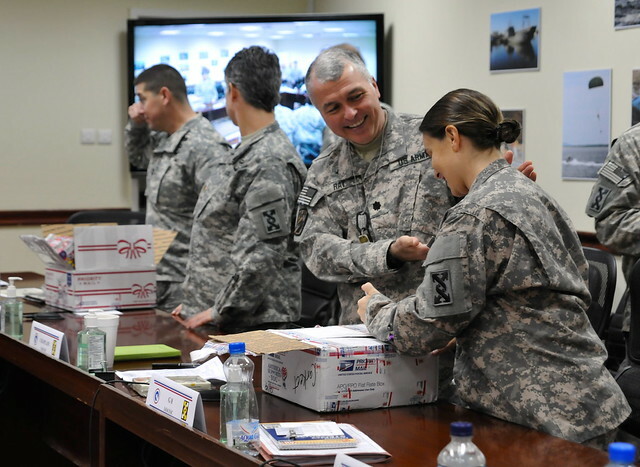 But care packages are needed by many people: disadvantaged families, soldiers and military families, cancer patients and hungry children, to name a few. An idea to get you started is packing a lunch for hungry kids. If you’re really short on time, Operation Gratitude has donation options through eBay. Sometimes volunteering slips by the wayside because life is just full of so many fun potential hobbies. We mean to volunteer, but that novel calls or we’d rather be learning a new musical instrument. The way to fight that is to think of volunteering as synonymous with your hobbies. Odds are, there are tons of ways to put your hobbies to use for others. DoSomething.org connects you to some of the top fun volunteer activities you can participate in. If you’re crafty, you can create dog toys. Use your love of reading to inspire literacy in others through reading games. Like art? Make a birthday card for a homeless . And it doesn’t stop there. Put on musical performances in health facilities through groups like Musicians on Call. If you like computers, you can code for a cause through groups like Code for America. Even video games are being used to help others through Games Done Quick, which is like running a marathon to raise money, but instead you’re finishing a video game extremely fast. It’s all a good excuse to practice your favorite hobby. The fact is, a lot of organizations know we’re all short on time. Volunteering means you give what you can when you can, and by looking for some of the most flexible options, volunteering might just be something you can fit in for as little as an hour a month, or even less. It’s certainly better than doing nothing.